The ruling People’s Democratic Alliance (PDA) unanimously resolved to field consensus candidates under the banner of NDPP in the forthcoming by-election to 26 Aonglengden Assembly constituency and Nagaland Lok Sabha constituency. It was informed by PDA chairman Chingwang Konyak and co-chairman Temjen Imna Along said in a joint statement. This was decided at the joint meeting of the elected members of the PDA and the Coordination Committee at chief minister’s residential office on Monday under the chairmanship of Chingwang Konyak. Upholding the decisions of the State Cabinet on the Citizenship (Amendment) Bill, the PDA expressed its strong solidarity with the firm stand of the State Government. The ruling coalition also welcomed the decision of the State Cabinet to hold consultations with cross sections of society on the matter. It appealed to all concerned to come forward in a positive and participatory manner with views and suggestions to make the approach of the government reflect the will and desire of the people. The meeting reaffirmed all PDA partners commitment on unity and understanding within the coalition and reiterated that the PDA was on “solid footing” under the leadership of Chief Minister Neiphiu Rio. The statement claimed that the PDA was functioning smoothly with collective responsibility while tirelessly pursuing the commitments of the common minimum programme (CMP) of the coalition with encouraging support from all sections of the people. The PDA further appreciated the “tremendous developmental works and welfare programmes” being undertaken by the State government in a successful manner as committed in the CMP with the positive support of the NDA government. The statement said the State government has ensured timely payment of salaries to its employees, especially to teachers, and disbursement of scholarships to students. 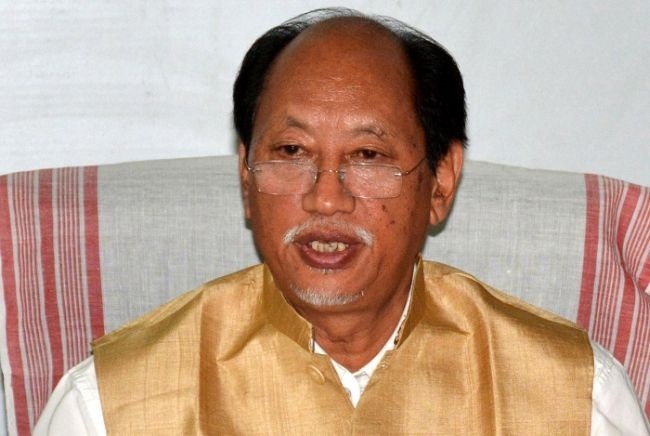 “Several new initiatives aimed at uplift of all sections, promotion of youth empowerment including sports and games, successful implementation of tourism events and new policies under agri and allied sector amongst a host of other developmental activities are ensuring that positive and progressive change is taking place in Nagaland,” the statement added.